Welcome to the Website oft he hotel „Sonne“ in Kirnbach. The Balack Forest with it´s beautiful Landscapes and famouse sites is awaiting you. Kirnbach is a small and pieceful village located in the centre of the Black Forest. Take a relaxing walk in the forest, explore the history of our region or enjoy our sesonal kitchen, with fine desserts and nobel wine, which is produced in the local, famouse wine growing regions of Baden. 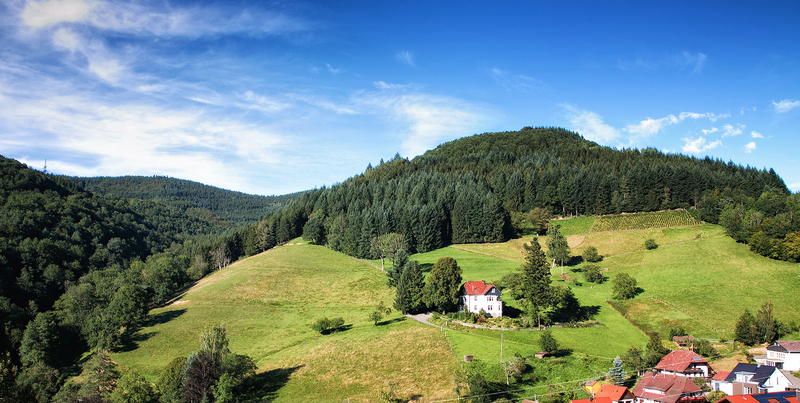 Enjoy your stay in one of Germanies most beautiful regions, blessed with the Black Forest´s favorable climate. In short distance to our hotel you will find the beautiful, mountanious landscapes of the northern Balck Forest as well as the „Vogtsbauernhof“ and the worldfamouse waterfalls of Triberg, which is also the origin oft he kuckuks-clock. You can get to the cities Strassburg (France) and Baden-Baden within under one hour with the enviromentaly friendly „Konus“ ticket. Every visitor is able to use all kinds of public transportation for free. Just show your Konus-Pass and you will be good to go. The Konus- ticket is a service specially provided by the black forest´s cities. If you need more information regarding the „Konus“-ticket visit www.schwarzwald-tourismus.info or contact us. * All room prices include 19% VAT. Depending on additional services (breakfast, half board, pet, cot, etc) associated with additional costs. For exact pricing information, please refer to the room detail pages.